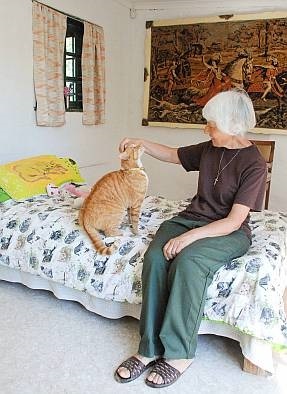 Your cat can have his own bedroom with a sunny window down to floor (cat) level, and sleep on a human's bed. The room is heated in winter if desired. The Novilon floor feels warm & soft to walk on. This option has to be booked in advance, and costs a little more.